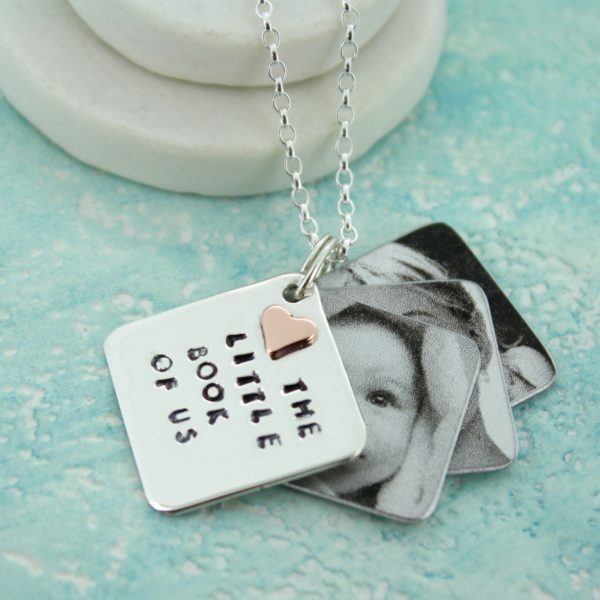 A quirky little sterling silver book pendant with “The little book of us”. The book features up to 6 of your own family photographs. 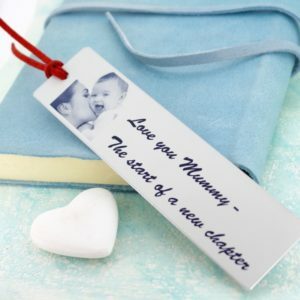 New brides can have their wedding photos to remember their big day and this makes the perfect first anniversary gift.. 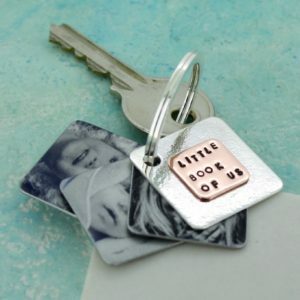 The photo book is also a lovely way to show off your favourite pets or places. They work best if the photos are of no more than 2 or 3 people as the pages are very tiny. Group photos are generally not very successful. 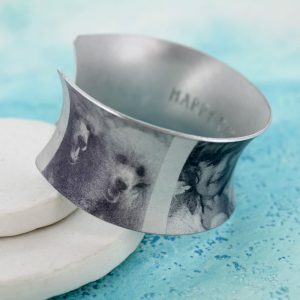 The photos are permanently printed back to back and in black and white onto anodised aluminium, and then textured to give them a vintage look. 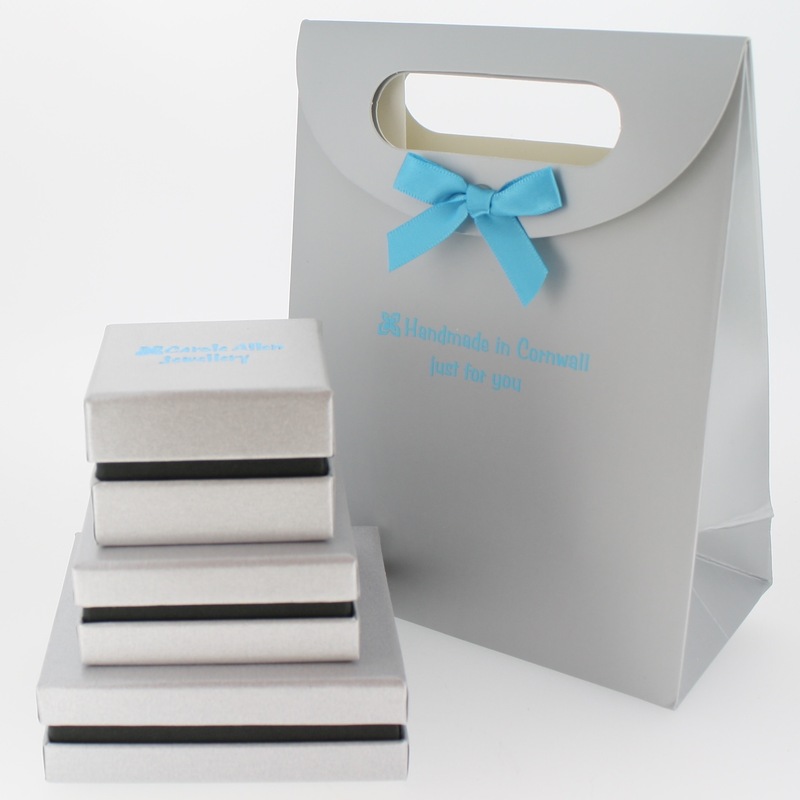 The photos will only ever be as good as the images supplied, so therefore, they need to be as sharp as possible. When worn, the silver book cover will hang in front of the photographs, so only you know they are there. You can choose from either a copper heart or a solid rose gold heart. Please note that the locket is made entirely by hand and the irregularity of the stamped front cover will add to the charm of the piece. 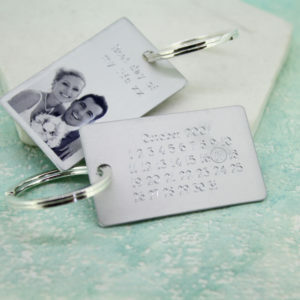 Once you have ordered your locket, you will be prompted to send your square black and white photographs. You can have up to 6.